At my Thailand golf vacation company, we are always happy when one of our golfers achieves a hole in one – if only because we can celebrate with them! Last week, there was a double cause for celebration: one of our guests at Blue Canyon Country Club, Phuket, a 28-handicapper from the US tee’d off with a 3-wood and aced the 221-yards, par 3 17th hole on the Canyon course, described by Fred Couples as "one of the best par 3’s anywhere in the world". The next day, another of our clients, a 10-handicapper from Germany, hitting a 5-iron, holed out on the 167-yards 14th hole of the A-B course at Laem Chabang International Country Club in Pattaya. What then were the odds then of this? Zach Morrison, a 25-year-old Callaway Golf Staff Professional at Anthem Country Club in Henderson, Nevada, accomplished an exceedingly rare feat: he recorded holes-in-one on a par 3, a par 4, and, incredibly, a par 5. All three were witnessed. The first leg of Morrison’s triple was on the sixth 349-yard par 4 hole of the Lexington Course at the Revere Golf Club in Henderson. The second ace – on the par 5 – came using an 8.5-degree Fusion FT-3 Driver and a Callaway Golf HX Tour Golf Ball (the same as his first ace). Hitting from the forward tee during a ladies event at his home club, Morrison unleashed a monstrous drive on the slight dogleg right eighth hole. The "easiest" of the three holes-in-one came on the par 3 eighth hole of the Lakes Course at Moon Palace Golf Club in Cancun, Mexico. For this one, Morrison hit an X-Tour Pitching Wedge and used a Callaway Golf HX Red Golf Ball to find the cup from 156 yards. I guess this guy had an even better week than our Thailand golfers. I would love to hear about your aces in Thailand. Please e-mail me with your hole-in-one information. 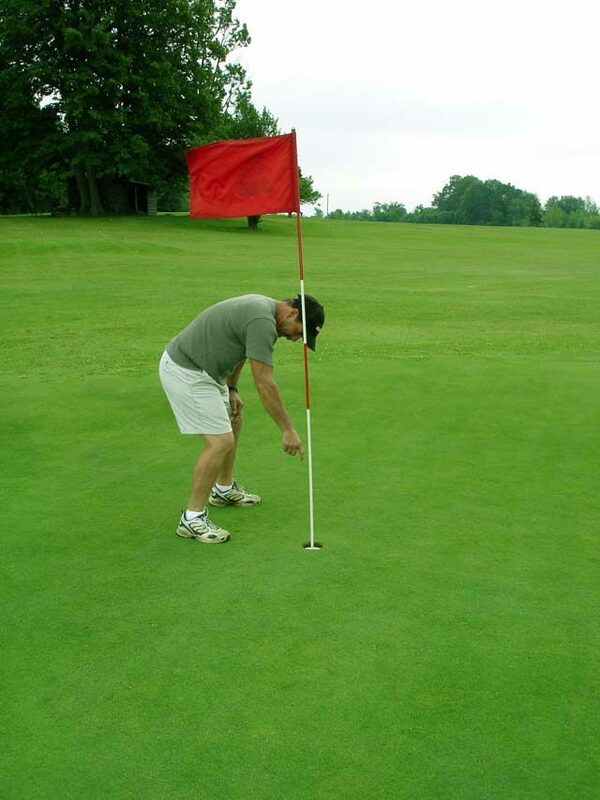 I will feature all your holes-in-one in special postings on the Thailand Golf Zone.